A family vacation resort in Camdenton, MO! 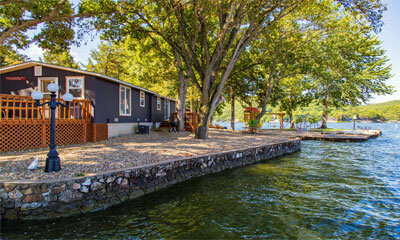 Point View Resort in Camdenton, Missouri, is one of the best family vacation spots on the Lake of the Ozarks. Whether seeking lodging for two or twelve, the resort has cabins to accommodate groups of all sizes. All cabins are bright, clean and equipped with all the essential amenities including full kitchens, comfortable living areas and outdoor grills. Point View Resort has chosen to use our cloud-based WebRezPro Property Management System! Visit their website to see how they’re using WebRezPro’s availability calendar software and web reservation software to accept online bookings!